This versitile 58/60" Mini Wide Seersucker consists of 100% combed mercerized cotton. Offers a soft touch with a nice drape and puckery finish. 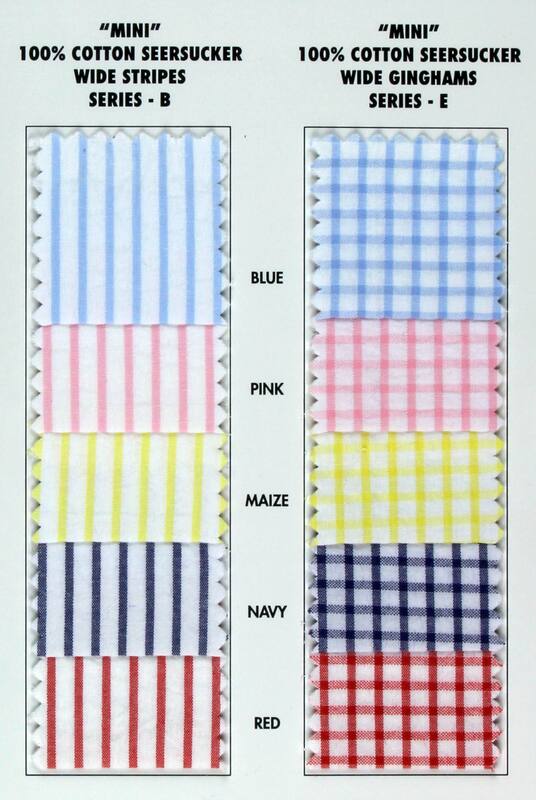 Suitable for blouses/shirts, suiting, loungewear, jackets, pants/shorts, children's/baby clothes and much more! 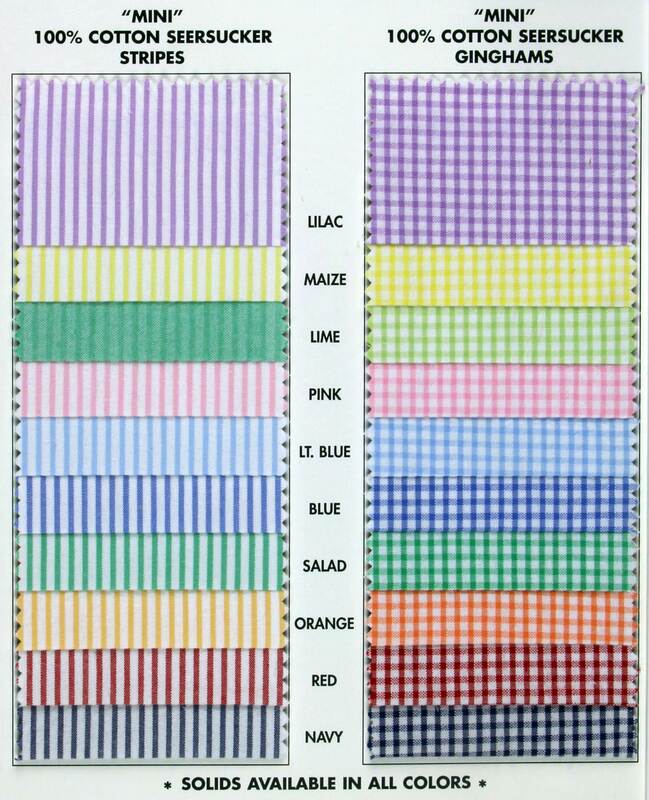 Available in 10 colors in 1/16" or 5 colors in 1/4" stripes & checks. Machine Washable.